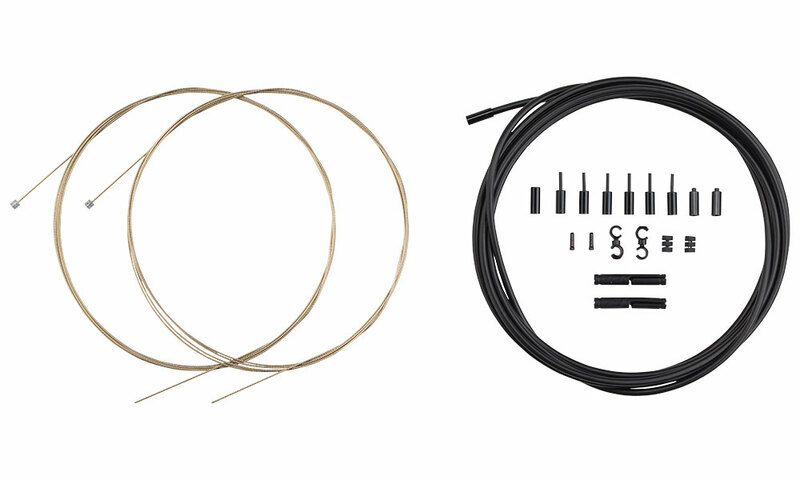 SRAM® and Shimano® shift cable head on one end, welded tip on the other. 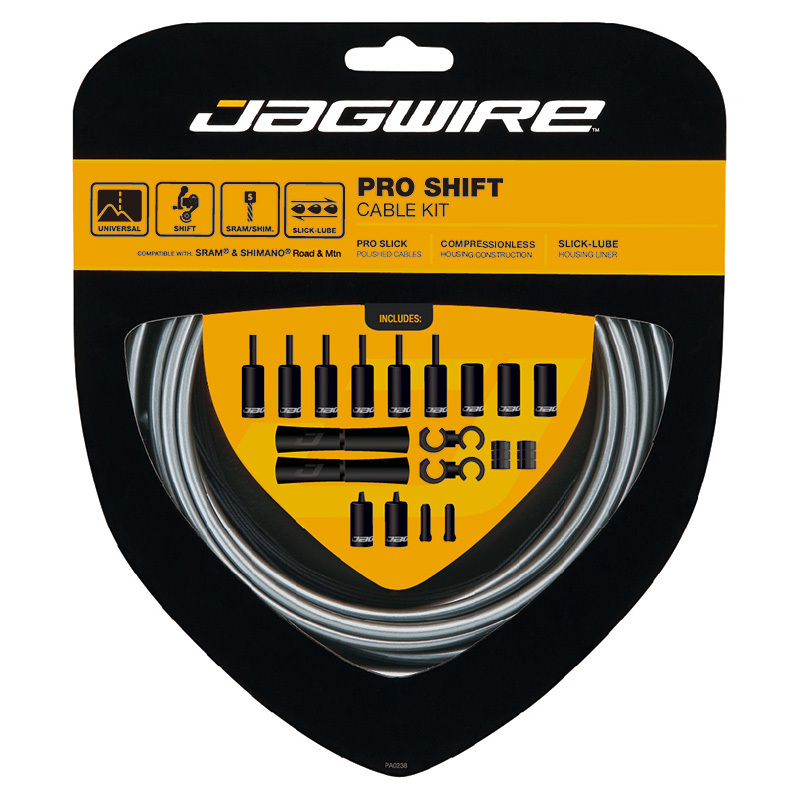 Jagwire Pro Shift kits deliver enhanced performance and style. 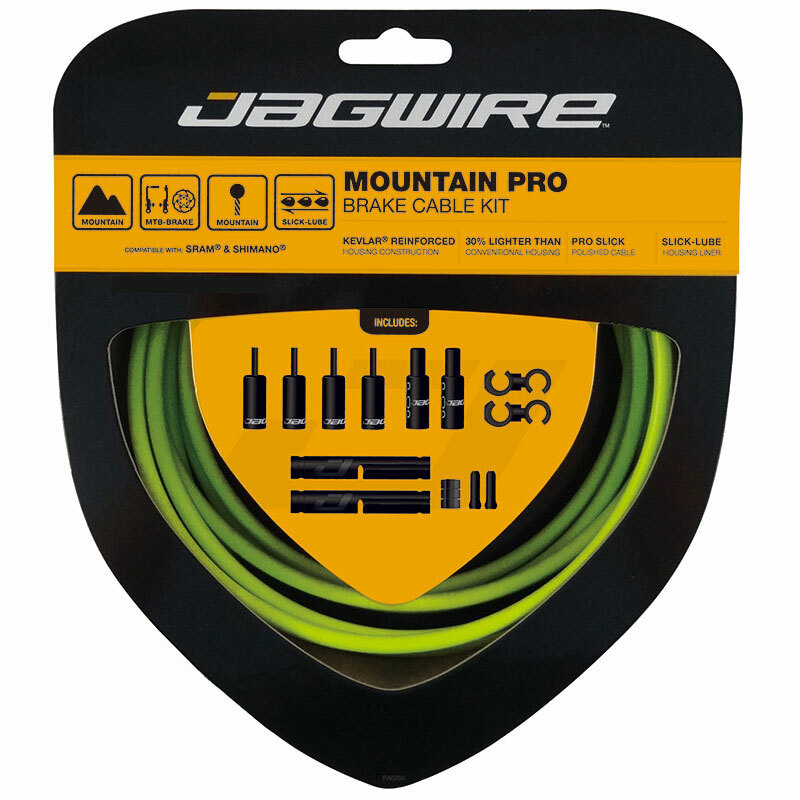 Pro level polished cables used with Slick-Lube liners dramatically reduce friction, giving you improved shifting precision and long-lasting performance. 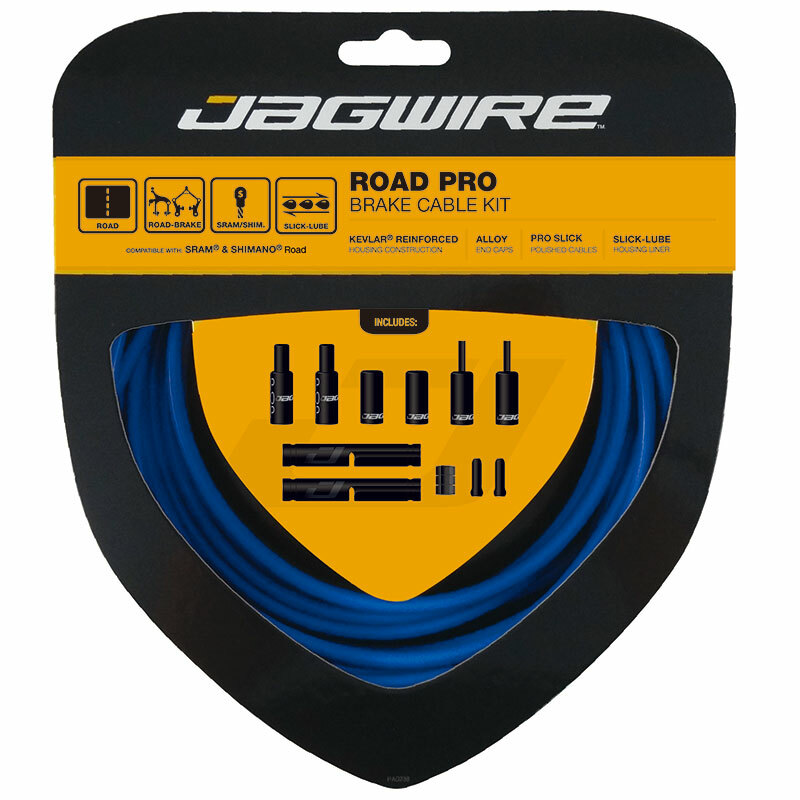 And with all needed parts included for both road and mountain systems, our Pro Shift kits are quick and easy to install.